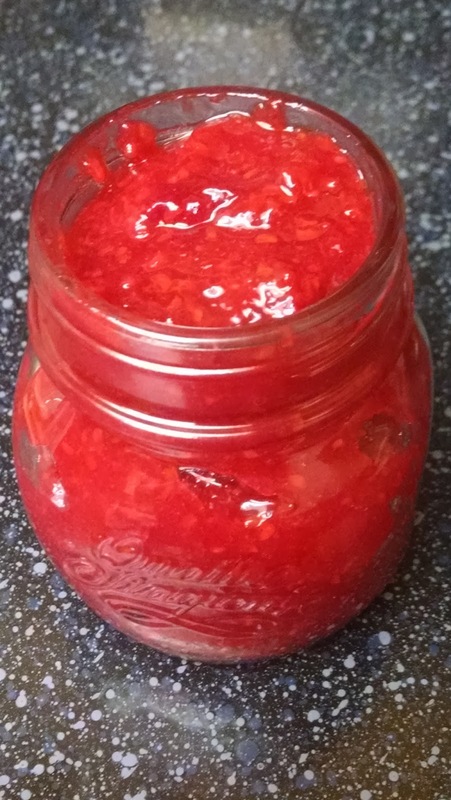 Alright, the raspberry jam is complete and it is amazing! It is thick, sweet, rich, tangy, and it is ready to go! So, just follow the recipe and you should have raspberry jam in no time. Okay, I do want to share a couple of quick notes that will help aide in the jam making process. First, the raspberries have enough water that they will break down on their own so no mashing is required. Good, right? That means less work for you and more time to enjoy the process. 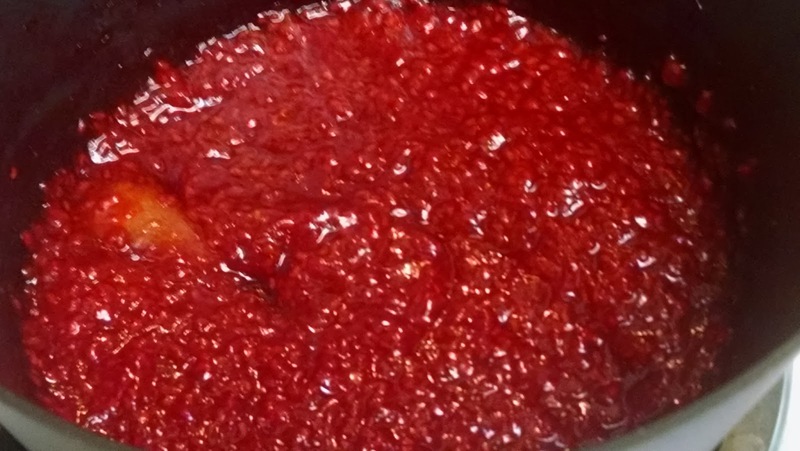 Second, the raspberries have more tartness that the strawberries do, so don’t add the juice of the entire lemon. You might find that it is too tart, but you can easily correct this by adding a bit more sugar or you can cut back on the lemon juice and that should work. Remember to taste as you go, but taste with care, okay? The same molten lava theory is applied here as well. Maybe we should look at a couple of photos, sound good? Let’s go! Just like before everyone in the pool. 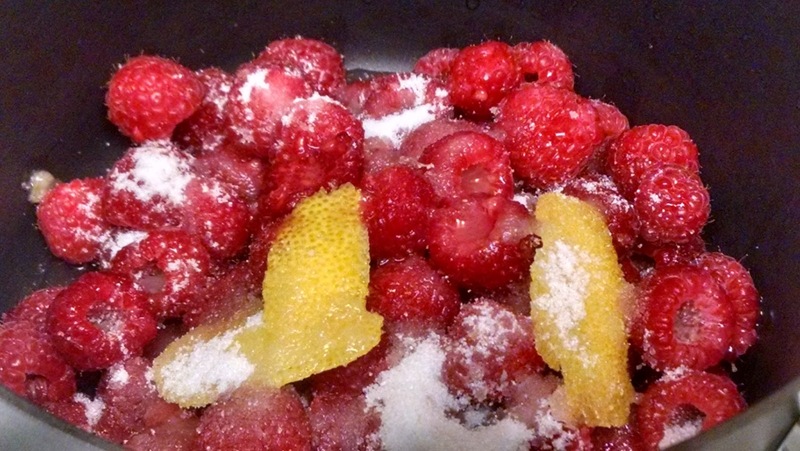 To recap we have raspberries (2 1/2 cups), 1/4 cup sugar, a few slices of lemon peel, a pinch of salt, and the juice of one lemon. Over medium to medium-low heat, our cauldron of goodness reduces until thick. 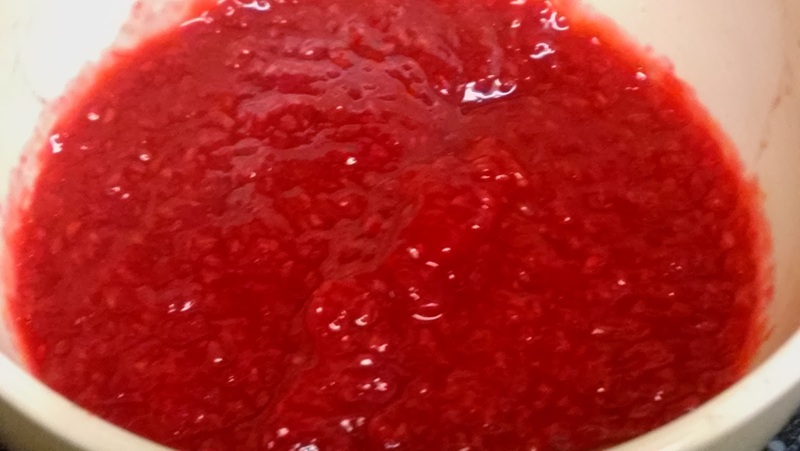 Here is the finished raspberry jam as it cools. Again, we are in a little jar and ready to head to the fridge. This jar is about 5oz or about half a cup. Remember to be creative with how you use this jam. But, I promise, even on a simple piece of toast this jam speaks for itself. Making it this week. Looks delicious! I'm excited to hear what you guys think! We have been loving both the strawberry and raspberry jam. I am waiting for blackberries so we can make some of that jam too!